I spy with my little eye, something that begins with the letter D! The DonnaCAM has stopped. Cam pics of posing 20-somethings are cute! 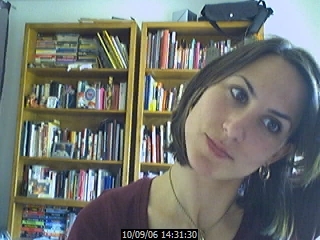 Cam pics of posing 30-somethings are pathetic. Click the link below to see almost 10 years worth of cam pics of me. But honestly, I am sure you have better things to do. Really, the pics aren’t that great anyway.